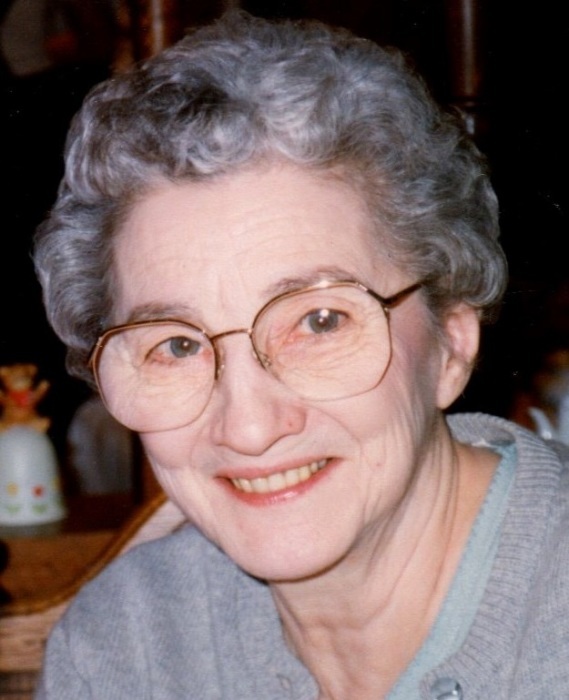 June Irene Lange, 93, of La Porte, Indiana passed away Thursday, February 7, 2019. June was born April 15, 1925 in Clarendon Hills, Illinois to Earl Edward and Florence (Von Huben) Hobday. On November 20, 1948, in Chicago, Illinois, June married Donald H. Lange who preceded her in death on March 30, 2008. June retired from Index Supply Company after 18 years of service working in the office. She was a member of Presbyterian Church, Young Mothers Club, and she graduated from McKinley High School, Chicago, Illinois in 1942. June is survived by a daughter, Nancy Proctor of Indianapolis, Indiana; a son, William R. (Marla) Lange of La Porte, Indiana; five grandchildren; Annjanette (Nate) Hunt, Sara (Steve) Toepper, and Kevin Lange, Patrick and Erin Proctor; three great-grandchildren, Hope Lange; Evan and Chloe Hunt; and a sister, Ruth Bastiani of Glen Ellen, Illinois. She was preceded in death by her parents; husband, Donald; three brothers, Charles, Harry, and Edward Hobday; and two sisters, Helen Hobday and Valerie Hobday. Visitation will be from 11-1 p.m. on Saturday, February 16, 2019 at Frank L. Keszei Funeral Home, Essling Chapel, 1117 Indiana Avenue, La Porte, Indiana. Funeral services will immediately follow at 1 p.m. Saturday, February 16, 2019 at the funeral home. Pastor Bob Vale will officiate. Burial will follow in Pine Lake Cemetery.